We founded The London Hypnotherapy Partnership to provide a professional, confidential service for clients looking for long-term solutions to persistent problems.As a team, we offer a very comprehensive and wide range of skillsets to give you the very best therapy so that you can achieve the results you’re after. 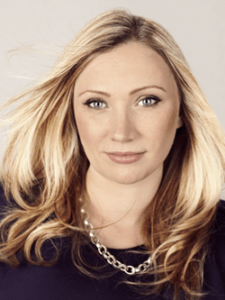 Katie specialises in relationships, personal development and business mindset. She is the only hypnotherapist in the UK to hold a specialist Masters in Business Hypnosis qualification. Katie is a Highly Sensitive Person (HSP), has also conducted her own personal research into the issues that can impact HSPs, including stress, anxiety, complex-PTSD, dysfunctional relationship dynamics, such as narcissistic abuse, and heightened intuition. Since her initial training in 1993, she has gained diplomas in Advanced Hypnotherapy, Relationship Therapy, Hypnotherapy and Psychotherapy, a Masters in Business Hypnosis and a BSc in Applied Psychology. 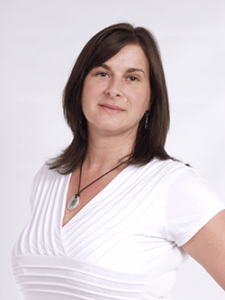 Jenny is a hypnobirthing and fertility specialist, trained in medical hypnosis. Jenny is one of the handful of hypnotherapists with experience in the operating theatre successfully using hypnosis for painless surgery. She continually updates her training and in 2006 trained with James Pool, completing the 2 year Medical Hypnosis Diploma. Jenny’s passion lies in fertility and birth. Her own daughter and grandchildren have benefited from her birthing expertise and Jenny wants to spread the message that a wonderful pain and stress-free birth is possible to every woman. With so many different types of therapies available, finding the right therapy for you can be very confusing. We are committed to simplifying the process and offering proven, effective therapy. We only use techniques we know work consistently and have been backed-up by research. As part of that commitment, we consistent monitor client feedback to check our success rates and provide a reassuring aftercare service. We’ve both trained to the highest standards in advanced structured hypnotherapy – the fastest, most effective and proven therapy on the market. We’ve also been trained in many other therapies, including counselling, EFT, CBT, NLP and (Ericksonian) suggestion hypnosis, but we choose to use our Advanced Structured Hypnotherapy because, quite simply, it is an excellent therapy that delivers the results. We are experienced in a wide range of conditions, including smoking cessation, weight loss, gastric band, phobias, anxiety, stress, insomnia, depression and confidence. In addition, our respective further education Masters qualifications and specialities in medical hypnosis, fertility, birth, business and personal development, make us unique. Both Jenny and Katie are experts in Advanced Structured Hypnotherapy and are validated practitioners by the General Hypnotherapy Standards Council. As members of the General Hypnotherapy Register (GHR), the Central Register of Stop Smoking Therapists (CRSST) and UKRAH (UK Register of Advanced Hypnotherapists), and accredited by the National Regulatory Register for Hypnotherapy (NRH), we rigidly adhere to their principles and codes of ethics. All therapy sessions and telephone consultations are be held in strict confidence. For further information about Katie or Jenny could help your particular issue, please get in touch with us by calling 020 8712 5981.